Sustainability consultants AEA Technology Group has published a statement insisting it is “business as usual” as it looks for a new owner. The group says it is “profitable and operationally successful”. The statement goes on: “Delivery to our customers is ‘business as usual’” and adds that its recently issued 2011/12 annual accounts show an adjusted operating profit of £4.1m profit in 2011/12. 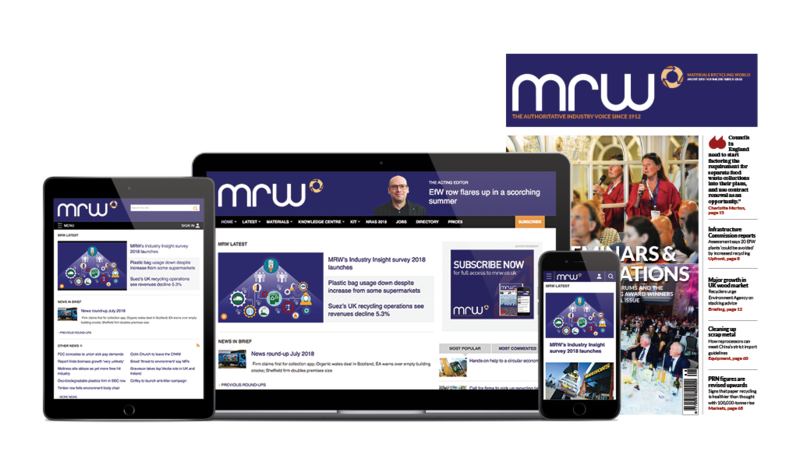 As reported by MRW on 7 August, the move follows the company securing a £5m loan to enable it to carry out a financial restructuring plan and to meet its liabilities, including the company pension scheme. The statement added: “There has been a lot of inaccurate reporting in the UK press recently, and similar blog/twitter activity, about AEA’s finances and our future. “We want to ensure that our customers and stakeholders are informed about the actual position as we undertake our important financial restructuring. MRW contacted AEA to clarify which reports had been “inaccurate” but the company declined to comment. The statement added: “Although we closed the legacy ‘defined benefits’ [pension] scheme to new members in 2003, and to existing members in 2009, like many companies we have found the cash-call to fund the scheme increasingly difficult in the light of increased actuarial life expectancy and decreasing investment yields. “The group has been in discussion with the pension trustee, the Government’s Pension Protection Fund, the Pension Regulator, and our bank, to find a solution to deal with the pension deficit, and our bank debt. “The resultant financial restructuring, based on a new three-year strategy and business plan accepted by all stakeholders, involves identifying a new owner for the group, to realise value and thus discharge liabilities to the bank and to the pension scheme. The statement followed the group’s annual financial results statement reporting an “overwhelming” pension liability, an operating loss of £35.4m, and said it was considering a sell-off of “all or part of the group’s businesses and assets”. The company, which names itself a leading technical adviser on waste to the US and UK Governments, unveiled the annual financial results statement 1 August. AEA chairman Paul Golby, said difficult trading conditions had made it a challenging year but added: “Nevertheless, I am extremely grateful to [staff] for their hard work, resilience and encouragement. “Despite a robust business plan and the underlying strength and expertise of the group’s employees, the business has been overwhelmed by the growing pension liability. The company said the additional short term funding - which it has now secured - would allow the group to realise value through a sale of all or part of the group’s businesses and assets. But it added there was “no certainty that a sale process can be completed in the short term that will enable the discharge of liabilities to the bank and the pension scheme”. The statement added: “Should the group not maintain the ongoing support of the bank and pension scheme, and execute a financial restructuring plan that provides an appropriate solution for the bank and pension scheme and meet its forecast cash requirements, it may not have sufficient funds to remain in operational existence.